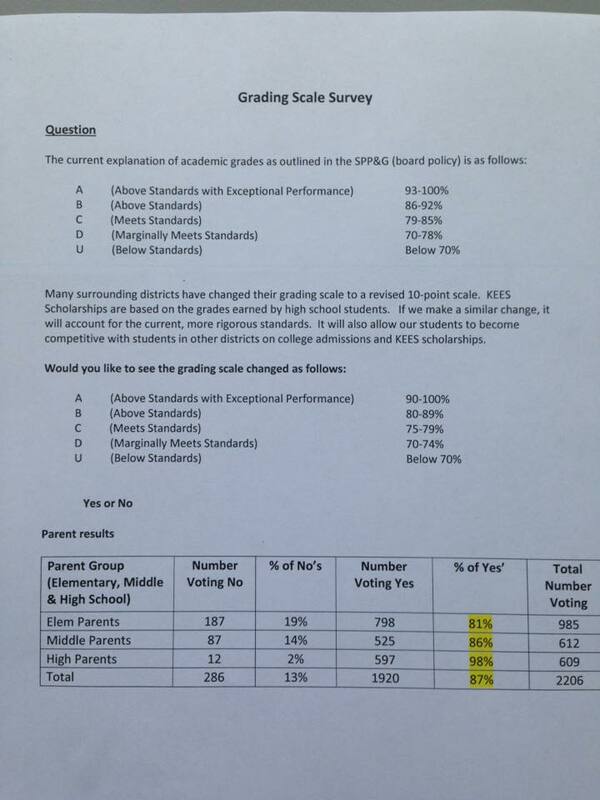 This story from Allison Ross, Courier Journal, addresses changes to the grading scale that was approved with a 5-1 vote. Linda Duncan was the lone nay vote, stating that she is concerned that this change only widens the gap between A-B students and C-D students. Conversations on the Dear JCPS Facebook Page tended to agree with Ms. Duncan’s assessments. 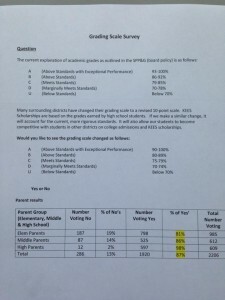 While most were in favor of the grading scale change, most felt that it doesn’t go far enough. Many also felt that they way the surveys were conducted (parent portal, online survey) provide greater access to a select demographic, and not necessarily representative of families who may have a harder time gaining internet access or finding time to participate in surveys. And that the survey wasn’t worded in a way that gave them choices, but merely, “do you approve of this or don’t you?” Many say they would have chosen an even 10 point scale for A through D if they had been given that choice.